Oziexplorer Ozf2 maps is offline maps and work even in the aeroplane mode (when gsm off) on your Android tablet or cellphone. Travel alot with gps maps. 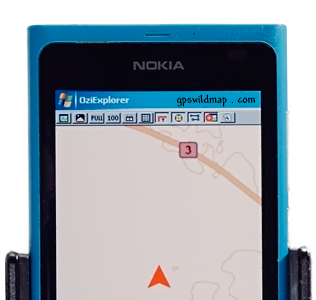 In the Gps map section you can find gps maps in OZF2 and OGF2 formats. Ozf2 maps are compatible for the moving map software such as Oziexplorer (PC under MS Windows 9x/2000/NT/XP/Vista/7/8) and Oziexplorer-CE (for devices under PocketPC, WindowsMobile and WindowsCE OS, Android). *) for the program MapviewGPS need to buy maps in OZF2 formats and convert it using a free tool Ogf2converter as it's using an old ogf2 format. To buy a map, please press the 'map' button above. the moving map gps navigation software: SmartcomGPS and SmartcomNavigator for cell phones (smartphones) under Symbian-OS (series: 60, 60 3d-editon, 60 4th-edition, 80, 90, UIQ, UIQ 3d-edition). Also you can buy a license for the gps tracking software: CarMonitor (smartphone edition) for phones under Symbian and WindowsMobile-OS and CarMonitor (PC edition) for PC under MS Windows (98,2000,NT,XP,Vista). To buy a license, please press the 'software purchase' button above. Before buying a license we recommend to try a demo version of software in 15-day trial period in all function mode. To buy a gps map or gps software, click a button in any of above sections. Important) As some maps have a large size in MegaBites. and If you have a fast internet access (such as Cable, ADSL), We recommend to use our download page, because the email delivery is slow and take more time. *) Also at your wish we can split your order by 5-10 MB parts, to ease your download. That method recommended for users with a slow internet access (on slow dial-up modems and for some corporate proxies). for any help contact us, before read F.A.Q.